Dr. John Houten is a board-certified neurosurgeon with fellowship training in spinal surgery. His professional interests include advancing image-guided and minimally invasive techniques to more safely and accurately treat patients with conditions needing spinal surgery. 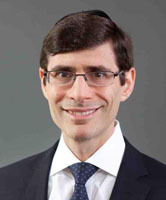 After completing medical school, a neurosurgical residency, and a spinal surgery fellowship at New York University Medical Center, Dr. Houten spent more than a decade as the Chief of the Division of Spinal Neurosurgery at Montefiore Medical Center/Albert Einstein College of Medicine where he oversaw a tremendous expansion of the volume and sophistication of spinal neurosurgery procedures. Some of his notable accomplishments in New York included performing the first artificial disc replacement and the first minimally invasive fusion procedure in the Bronx; and for performing several difficult spinal operations that drew regional and national media coverage. In 2003, Dr. Houten devised and organized an annual CME course on diagnosis and management of degenerative spine disease with the goal of educating primary care and rehabilitation medicine physicians about the latest developments and technology available in spine care. The meeting proved enduringly popular and typically attracts 200 participants, making it the largest meeting of its kind in the tri-state area. After spending a year to create a spinal neurosurgery program at the Marcus Neuroscience Institute at Boca Raton Regional Hospital, he returned to New York to lead the Spinal Neurosurgery service at Maimonides Medical Center in Brooklyn. In addition to seeing patients in the office and performing surgery, Dr. Houten is actively involved in a number of clinical research projects addressing a number of facets of spinal degenerative disease. He also serves as an ad hoc reviewer for a number of scientific journals including Neurosurgery and Clinical Neurology and Neurosurgery. Dr. Houten currently resides in Brooklyn with his wife, Dr. Gila Weinstein, a plastic surgeon in private practice. Dr. John Houten is currently accepting appointments at the Maimonides Spine Center located at 6010 Bay Parkway, 8th Floor, Brooklyn, NY 11204. Please call 718-283-2225 (BACK) or 718-283-7219 for an appointment. Please send us your John Houten, MD questions or any questions to our friendly staff via our online Contact Form. You may also contact us at or visit our office at 6010 Bay Parkway, Brooklyn, NY 11204.